Thinking of starting a vegetable garden? That’s a great idea! Growing your own food is not only rewarding, but it also has lots of health benefits. A beginner vegetable garden is thew perfect way to introduce your family to the fresh taste of homegrown food. After planning your vegetable garden, decided where you’ll plant each group of vegetables and prepared the soil, your next step will either be sowing seeds or buying immature young vegetable plants. 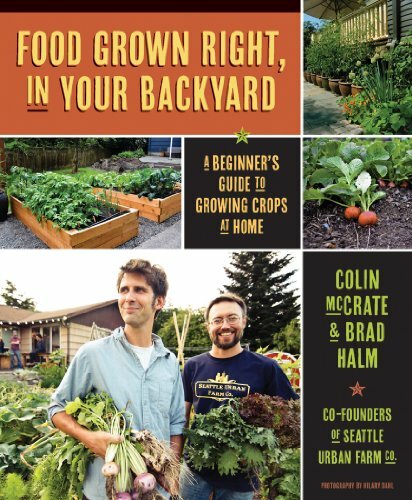 Food Grown Right, In Your Backyard: A Beginner’s Guide to Growing Crops at Home As a vegetable garden grower there are a few basic ideas that you will need to understand when growing certain vegetable plants. For example, onions grow easiest from sets, which are small onions that you plant to grow on. Potatoes are grown from seed potatoes which are not seeds, just sprouting potatoes that are developed especially for a new potato plant. Garlic is grown from cloves of garlic broken from a bulb. And carrots and parsnips must be sown directly into the ground as you cannot disturb their roots without damaging the vegetable. Most of your vegetables will either be grown from seed, or bought as young plants from your local garden center. Sowing from seed is a much better option for your pocket, and much more rewarding. 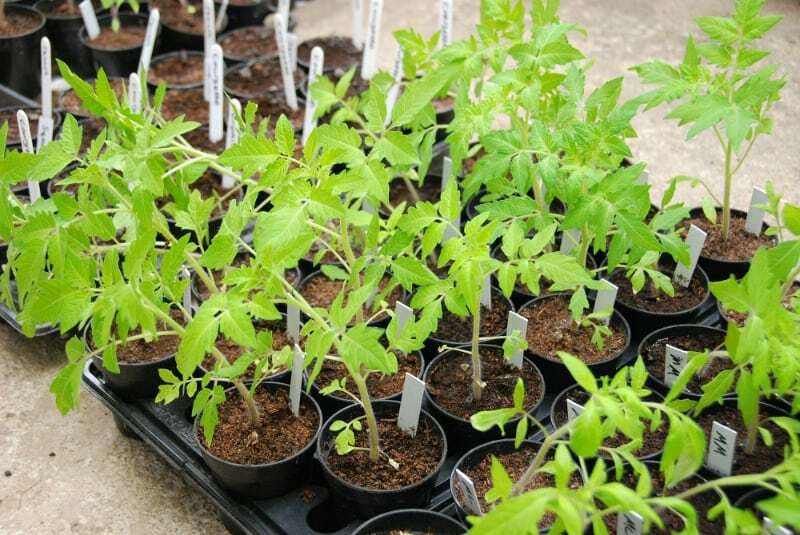 But if you are short on time, if the growing season is upon you, or you’re just not sure how to start from seeds, buying young plants is definitely an option. 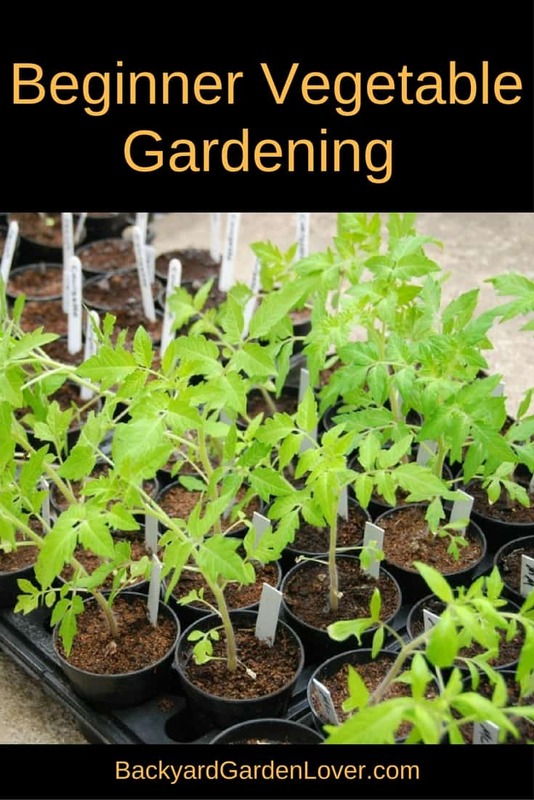 Here is a beginner vegetable garden guide to buying and planting young vegetable plants. Buy plants that are healthy with no browning leaves. Make sure that there are few if any roots growing through the bottom of the tray. Ensure the compost is moist and that the plant has been well watered. Check for any damage at the neck of the plant, where the stem meets the soil. After getting your plants home harden them off in a cold frame (or on your porch, making sure to bring them back in if the sun is too strong or if there;s danger of freezing) to help them acclimatize. After a few days of hardening off follow the planting instructions that came with the vegetable. Handle young plants gently, and water well after planting. If it is warm, water the ground before planting and plant in the early evening. Keep watering until the plant has become established. 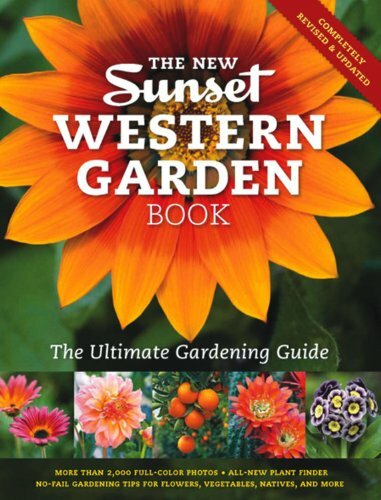 When I was a beginner gardener I loved reading every gardening book I could get my hands on. Well, who am I kidding? I still do this today. 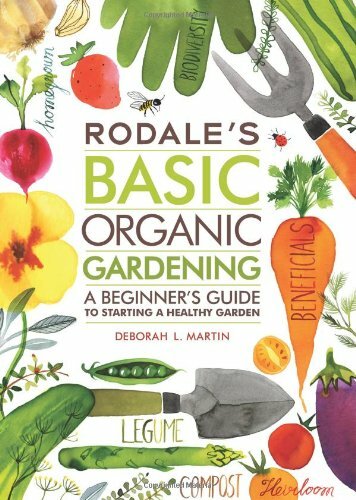 I especially love looking through old garden books, and learning all I can about growing fruits, herbs and vegetables for my family, even though I only have room for a small garden. 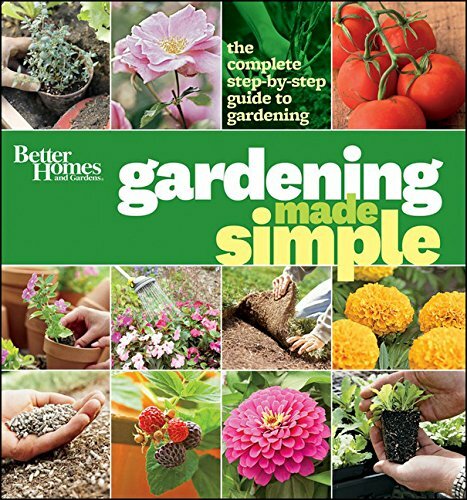 Want more help?Here’s a few more ideas for gardening beginners. Is there was way to grow a tomato plant inside as I live in an apartment and not able to grow them Iin a garden. I have an east facing window.